10am-10pm: “Turn on the Holidays!” – The official start to the Natchitoches Christmas season: live music and entertainment, children’s activities, and (of course) fireworks! 10am-4pm: Christmas on the Cane at Fort St. Jean Baptiste SHS, Celebrate 18th century style with historians, re-enactors, and period merchants. $4 ages 12 and up. 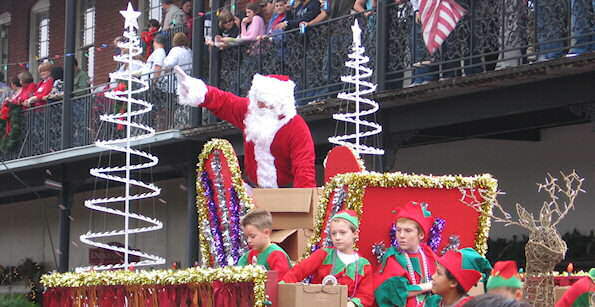 Visit with Santa on the south end downtown riverbank, 6pm – 8:30pm nightly.